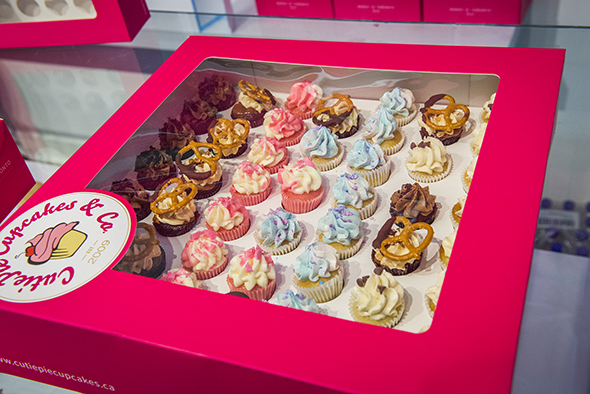 CutiePie Cupcakes Co. isn't new to Toronto's dessert scene. In fact, owner Melanie Abdilla started her company back in 2009 and baked up her pint-sized treats for corporate events and other special occasions. 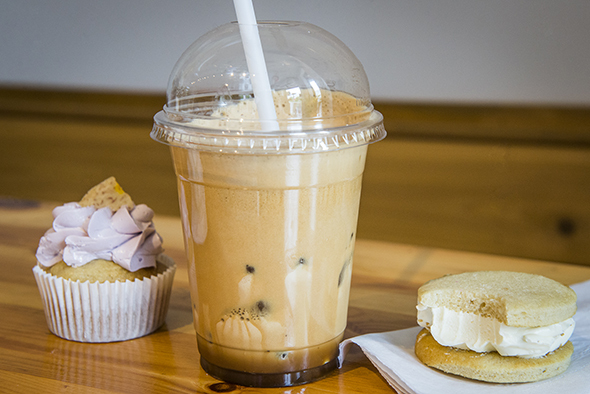 Now with her very own storefront in Chinatown, she's bringing her mini cupcakes and whoopie pies to the masses while also serving up espresso-based drinks and Greek-style caffeinated beverages. 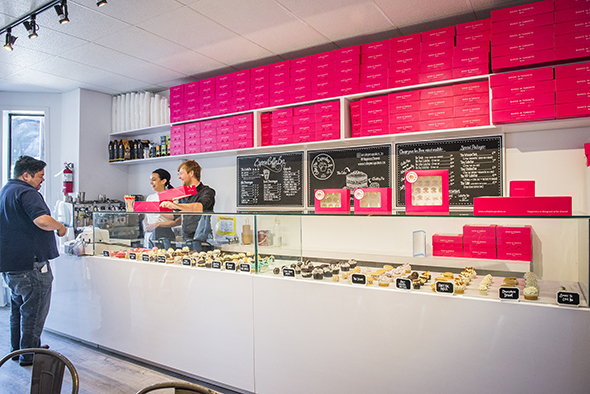 The small space features a few tables, both inside and on the front patio, and bright accents thanks to Abdilla's hot pink cupcake boxes. Abdilla likes to riff off of popular desserts, making miniature cupcakes (or cutie pies) that taste like creme brulée, s'mores and cookies ($1.75 each). 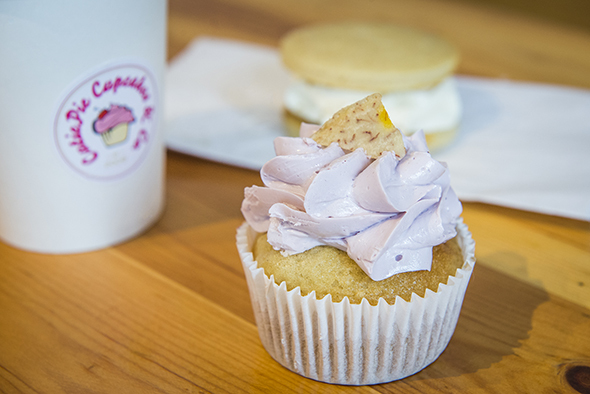 She also serves up whoopie pies ($1.75 each), which are essentially cupcake sandwiches. If these miniatures don't satiate your sweet tooth, Abdilla also makes full-size (or chubby pies) cupcakes and whoopie pies ($3.50 each). Each one features either a vanilla or chocolate cake base as well as light and fluffy butter cream frosting that's not too cloying. 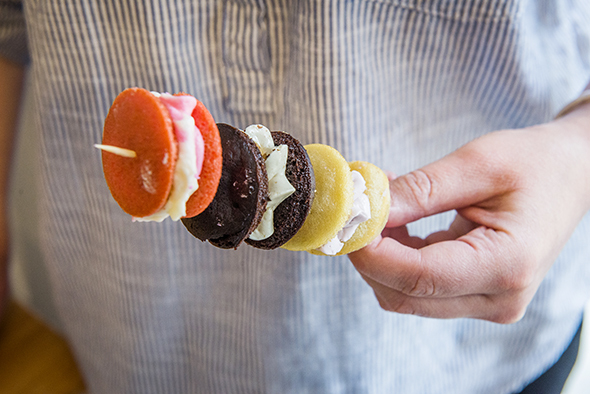 Since everything tastes better on a stick, Abdilla offers a dessert kebab of sorts. Basically, she stacks up three whoopie pies, creating a pretty and portable confection; this is definitely the way to go if you're looking to nosh as you walk around the neighbourhood. Or you can grab a latte pie ($6 for a small), Abdilla's pièce de résistance. 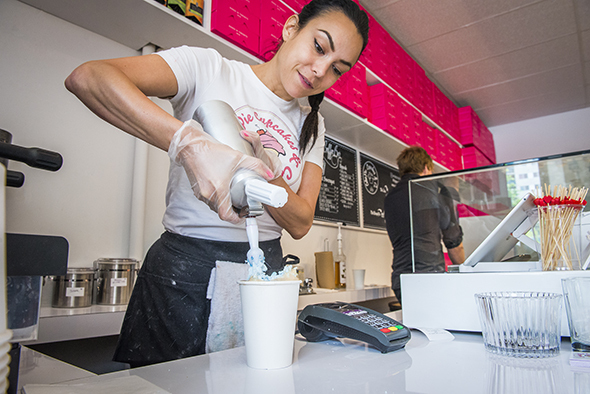 She makes these hot and cold espresso-based beverages with both cotton candy-infused steamed milk and whipped cream. If that's not enough sugar for you, she tops each drinks with cotton candy sprinkles. And to up the ante (if that's possible), she adds a whoopie pie as garnish, noting that the scrumptious-looking finished product almost resembles an over-the-top Caesar. As for less gluttonous options, you can grab a Greek-style frappe ($3.75/$4.75), a highly caffeinated, whipped coffee drink. 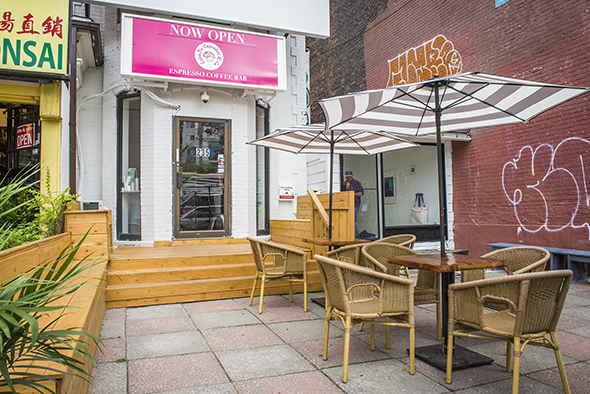 There are also cappuccinos ($3.50-$4), lattes ($3.50-$4) and tea ($2.50) on the menu. 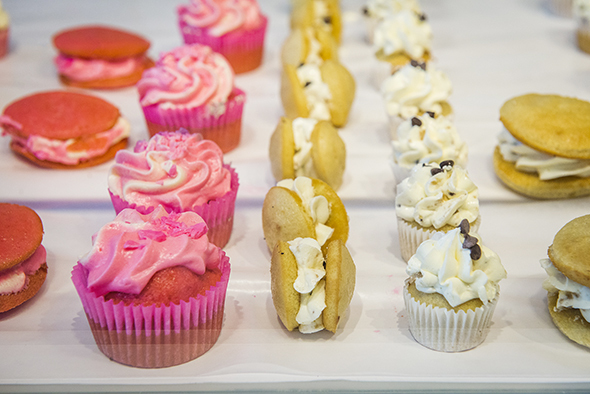 And while you can pick out a cutie or whoopie pie to go with your morning cup of joe, Abdilla also sells her treats in larger quantities in case you want to surprise your office, friends or simply horde them all for yourself.